Are you in an interracial relationship with someone who has anxiety issues? Chances are that you truly love someone if you have reached out to the internet to help you in this situation. You want to love your better half no matter what happens and you are afraid that this anxiety of theirs is just killing your relationship every day. The simple cultural differences, and the differences in your lifestyles is driving a nail in their brain, and even the slightest quirks can set off episodes of unbearable pain and sadness in them. And no matter what you do, how much you try to help them, you just cannot seem to. It feels like your love is not enough, it feels like you are not enough. But believe it or not, as your partner might have already told you this countless times. This is not you, it was never you, and it was this mental traumatic disease that has your partner in its grip. It shakes them, quakes them and turns them into a nervous wreck. And from all of this pain, only your love can alleviate them from all the darkness that surrounds your partner. 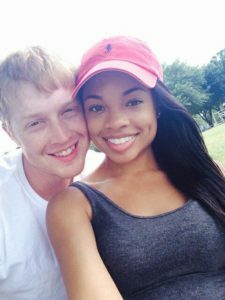 Follow these simple advices; you will see a drastic improvement in your black white dating relationship. Understand their pain: Humans are empathetic beings, and so it is naturally built inside us to put ourselves in someone else’s shoes. And yet no matter how much you try you cannot understand their pain. This is because their pain is caused by extreme anxiety, and even if you do understand a bit of it, you will never completely understand how it feels if you have never experienced anxiety before. So, instead of trying to fully understand their pain, try to understand their anxiety. If you cannot do it organically, you can still do it mechanically by learning about it. Learn about what causes it and how it has affected millions of people across the world. Getting help: Why do we undermine and shun mental diseases so much? Why do we give so much importance to physical trauma and yet feel burdened by the aspect of a mental trauma? The truth is that the extreme anxiety is a mental disease and it needs to be treated exactly the same way how you would treat a physical disease. You have to encourage your partner to get some real psychologist help and get medicines that can help them recover. Never give up: Amongst all the breakdowns, scream matches, and painful shivers, hides the struggling heart of your lover. Do not forget this especially at the times when you feel like you cannot take it anymore. Remember that even if they do not tell you often, they do in fact; value you more than anyone in this world. This black white relationship crosses space time and all boundaries, so never give up on it. We hope all of this advice will help you have a better black white dating relationship with your partner who suffers from anxiety. Do not worry, love will prevail in the end. This entry was posted in Dating Tips on December 28, 2017 by admin.